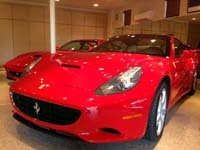 We exclusively sell and install SunTek Ultra Paint Protection Film (PPF) top coated materials. Our certified Nano-Fusion factory trained Avery-Dennison technicians can provide your vehicle with the latest Nano-Fusion technology and "FrontLine" protection with unbeatable protection against the elements ... abrasion, bug acid, road debris, rocks, salt, sand, scuffing, stone chips and weathering. Nano-Fusion technology allows paint protection film to retain its high gloss durable scratch resistant topcoat as well as resisting yellowing and cracking. There are many substandard PPF materials within the marketplace which end up with installation and materials issues. Our SunTek Ultra TruCut pattern technology and computerized plotter cutting will ensure a perfect fitment for your specific year, make and model every time…Stop by to see what is available for your vehicle today. Bugs, rocks, sand and other various road debris begin attacking your vehicle the second it leaves the showroom floor. Each of these elements dramatically damages the clear coat and paint, leaving your vehicle helpless against daily driving conditions. Until recently, the only practical solutions to these problems were vinyl / leather car bras that offer poor coverage and often caused as much damage as they prevent. SunTek Ultra Urethane Film provides a barrier for your paint's surface against harsh environmental elements and everyday wear. Stone chips, road debris, bug acid and abrasion decrease the value of your vehicle. Unlike using a leather car bra, SunTek paint protection film remains invisible, allowing your vehicle aesthetics to shine through. SunTek Ultra is noted for its superior clarity and high gloss. SunTek Ultra factory trained and certified technicians must achieve rigid installation standards for excellence as approved by our automotive company, these premium flexible films provide good resistance to the damaging effects of U.V., while allowing the brilliance of the automotive finish to come through. 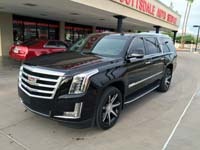 We are here to protect and maintain your investment by offering the very best SunTek Ultra Paint Protection Film TruCut product and certified installation on your new or used vehicle. Yes. The film is designed as a semi-permanent application and can easily be removed if desired from any factory O.E.M. painted surface. A slight Line is barely visible at certain angles where the film stops. How is this product manufactured for my specific vehicle application? All SunTek Ultra Paint Protection Film (PPF) is computer cut to exact patterns for applications on all painted surfaces and headlamp lenses for your specific vehicle application and specifications utilizing SunTek's exclusive Manufacturing Software Program. How hard is it to see after it is applied? The film is over 99.5% clear. On any color darker than bright white, you can’t see the film. How long will it last, when will I have to replace it? No. The material contains UV inhibitors to prevent the film from reacting to the sun's rays, but still allows a certain amount to filter through the material and onto the surface to let the paint “age” with the rest of the vehicle. What if I go through a car wash, or have the car waxed? You can do anything to the material that you normally do to a car's finish. Frequent washing and waxing will only prolong and enhance the beauty of the product. Yes, the material will accept wax and polishes just as the paint does and will last longer with regular applications. What if I encounter wax build-up around the edges? Use a soft, damp cloth, Q-tip, or soft brush to remove any wax build-up that may occur. Will it really stop rocks from chipping the car? Yes. The material was originally designed to stop chips on rotor blades and airplane propellers. It is much easier for the product to protect your vehicle's paint than a propeller moving at nearly the speed of sound. The premium SunTek Ultra Paint Protection Film (PPF) product is warranted to be free of defects in manufacturing and workmanship, and will resist yellowing and cracking resulting from UV exposure for up to 10 years. Limitation of remedies and liabilities are solely restricted to replacement of the defective product. Can I use this product on my headlamps to protect them from road damage? Absolutely, SunTek Ultra Paint Protection Film (PPF) is also designed for the protection of headlamp lenses that helps prevent damage form cracking, pitting and road debris. The product does not distort the light beam. Based at the Scottsdale Airpark we also serve all of Phoenix, AZ and surrounding valley communities so call 602.524.0807 or contact us for a your next Paint Protection Film (PPF) installation appointment! 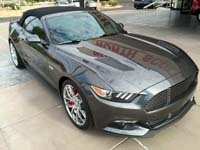 Serving Scottsdale, Phoenix, North Scottsdale, Tempe, North Phoenix, Cave Creek, Carefree, Paradise Valley, Fountain Hills, Arizona with SunTek Ultra Clear Bra / Paint Protection Film (PPF).